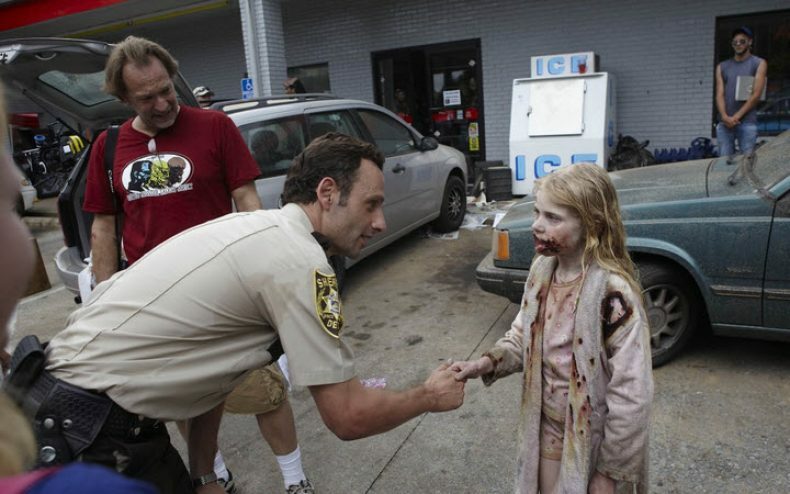 The making of The Walking Dead and how the show got started and where it may be heading. Frank Darabont details how the comic and Robert Kirkman’s vision for the comic shapes this new series on AMC. In the making of The Walking Dead Frank talks about this character driven view on a zombie apocalypse really creates a unique and interesting show, and gives the audience an interesting perspective. The cast and crew shed light on how they feel the show should be, along with how they would like it developed. This tale of human morality versus the raw and surreal world of zombies really puts the characters into a position to elevate The Walking Dead into a series that takes on a whole new level. If you are a fan of the show and really love insight into the behind the scenes that you should check out the making of The Walking Dead. Andrew Lincoln gives us his thoughts on how the show should be as real and as disturbing as possible in order to give the audience the true effect of a zombie apocalypse. Andrea, played by Laurie Holden, in the making of The Walking Dead shows us the morality issues that really arise and how people would change or the struggles that would happen in the event of such a horror. The Making Of The Walking Dead goes and gets the perspective of the show from even more characters, and allows you to understand the show even more knowing what the actors, actresses, and directors are thinking about. Jon Bernthal Joining Frank Darabont’s L.A. Noir?